I happen to be staying at a DoubleTree Hotel and on my desk I saw this wonderful comment card. This is really a great example of how to ask customers for feedback and I’m sharing the comment card with you because I think it’s so good. 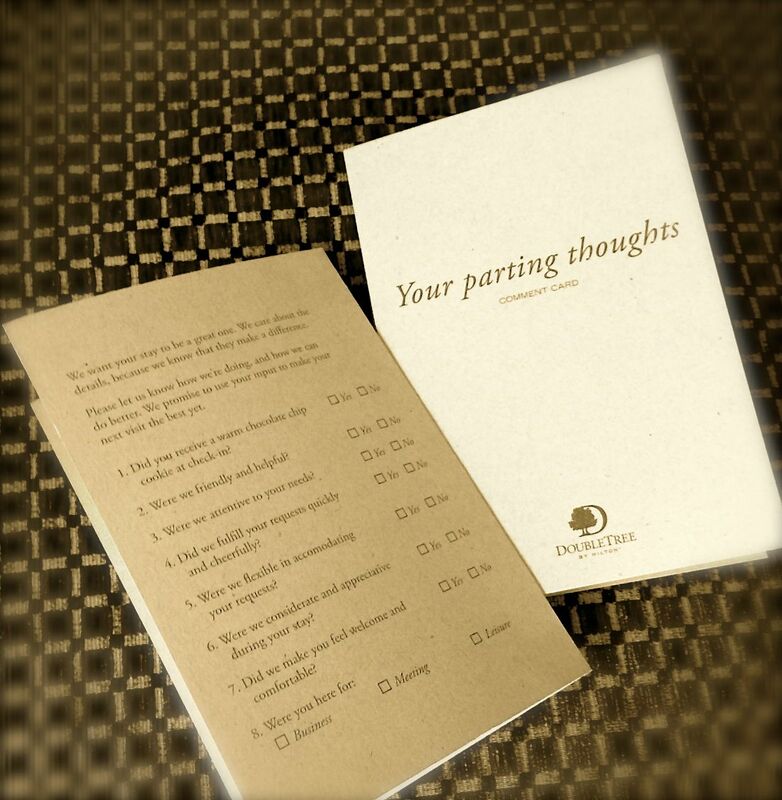 DoubleTree warmly asks guests for “Parting Thoughts.” Guests are asked such questions as, “Did you receive a warm chocolate chip cookie at check-in?” and “Did we make you feel welcome and comfortable?” One of the 3 open-ended questions ask, “Did any of our staff go to extra effort to make your visit a good one?” It’s really clear from DoubleTree’s comment card that their focus is on creating a warm and welcoming customer experience. I can’t wait to give DoubleTree my feedback. Here’s why. When I checked in, the famous DoubleTree cookies were in the oven. A few minutes after I got settled into my room, a member of the staff walked up with 3 hot chocolate chip cookies and 2 bottles of water. Last night my husband and I ordered Italian from an outside restaurant and delivery did not include utensils or napkins. I called DoubleTree room service and explained my dilemma and they immediately sent up napkins and utensils. That was a WOW, as we hadn’t even ordered from the hotel. I’d say that their staff definitely took extra effort to make my visit a good one. I’m looking forward to completing the DoubleTree comment card to let the hotel know they met and exceeded my every expectation. Previous Previous post: Febreze was the hotel’s answer to my request for a non-smoking room. Really? 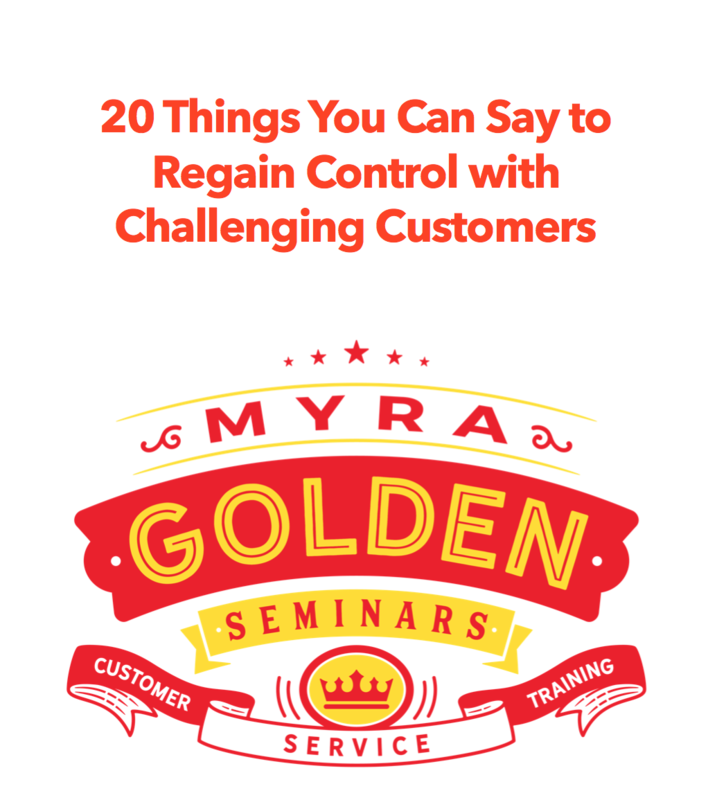 Next Next post: My Client Gave Me 3 Levels of WOW Customer Service!